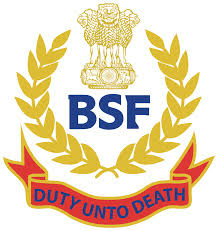 Border Security Force (BSF) has published an Advertisement for below mentioned Posts 2019. Other details like age limit, educational qualification, selection process, application fee and how to apply are given below in the advertisement. Head Constable(RO): Candidates who have passed Matriculation (Class 10th) Level of Examination along with having ITI Certification in Radio & Television/Electronics/Computer Operator & Programming Assistant/Data Preparation & Computer Software/General Electronics/Data Entry Operator from any recognized institute Or Candidates who have passed Intermediate (Class 12th) level of Examination with PCM Group and scored minimum 60% marks from any recognized board/university/institution will be eligible for this post. Head Constable (RM): Candidates who have passed Matriculation (Class 10th) Level of Examination along with having ITI Certification in Radio & Television/Electronics/Computer Operator & Programming Assistant/Data Preparation & Computer Software/Electrician/Fitter/Info Technology/Electronics System Maintenance/equivalent trade from any recognized institute Or Candidates who have passed Intermediate (Class 12th) level of Examination with PCM Group and scored minimum 60% marks from any recognized board/university/institution will be eligible for this post.